Use this sommelier's toolkit for basic taste and texture combinations next time you're planning a dinner party or ordering a bottle out. 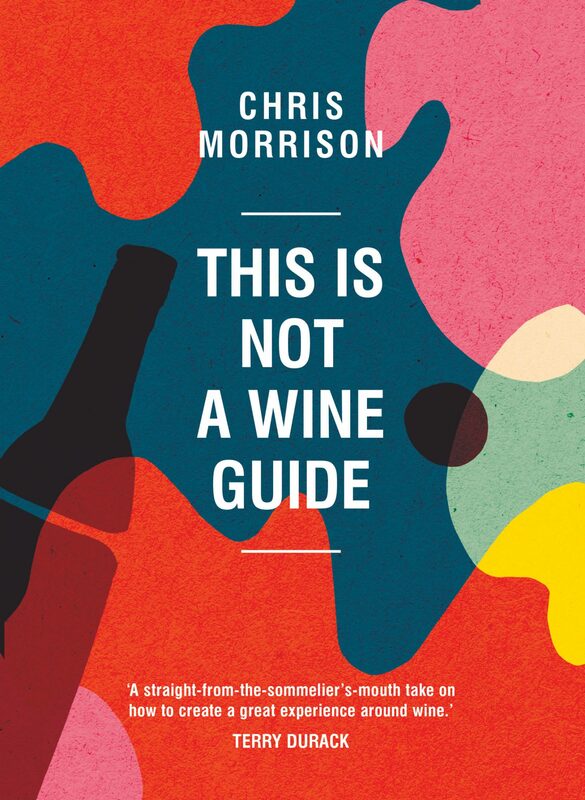 Chris Morrison may be an award-winning sommelier, but his book, which came out in the U.S. last month, is "not a wine guide." Everyone has a different palate, and Morrison believes that individual tastes and preferences should drive wine choices, as opposed to a set of hard and fast rules. What he offers is a starting place—specifically, how to use food to approach and demystify wine. "Food unlocks wine," Morrison says. When it comes to pairing wine with food, that means understanding how certain flavor profiles or textures work together, so that you can, in turn, choose a wine you like that will enhance or compliment, instead of overshadow. The sommelier relies on what he calls a "toolkit" of "one-two combinations" to think about pairing, which he's shared below in an excerpt from his book. Planning food and wine matches requires a few basic tools, namely a collection of ‘one–two’ combinations that will help you find the right wine for the food, occasion and company. Learning these tools can give you so much more confidence when a wine list and menu are thrust into your hands, or when you are planning a dinner party at home. As a sommelier, I have developed my own quick reference ‘toolkit’ of basic taste and texture combinations. My toolkit helps me develop a constructive dialogue with the chef, allows me to pick the right wine for the food and provides me with a clear description of, and reasoning behind, the pairing. These vital principles will help you understand the process of food and wine matching in a restaurant or in your own home. Acid can be used in many ways. I love working with foods that have high acidity, putting them with wines that are equally acidic in nature. If a cheese has high natural acidity (like those made from goat’s milk, for example), then a high-acid wine such as a fresh, crisp Sauvignon Blanc – especially one from the Sancerre region of France – is the best partner. While high-acid wines work well with salt and fat, the same can’t be said for sweetness. Imagine biting into a milk chocolate bar full of sweet, warming, cloying and unctuous textures and taste. Now imagine biting into a green apple, tart and sour with a tangy and fresh flavor. I bet your face twisted just thinking about this scenario. It’s twisting because of the way sweetness would amplify the acidity, making the whole combination coarse, hard and unpleasant. In a wine, acidity and sweetness are vital and complementary components. One keeps the other in check. With food and wine, I rarely go here. Hot chips (fries), which are all about fat and salt, go brilliantly with sparkling white wines that show strips of acidity. Acid counterbalances salt, but it cuts through fat as well (see Fat and ‘Cut’ below). Think of a squeeze of lemon over battered, deep-fried fish, seasoned with a bit of salt, and you’ll see what I mean. Creamy, salty oysters are fantastic with acidic white wines. What you get in these examples is a basic equation of acidity + fat + salt at work and it’s a magic, fail-safe combo. Plus, in this scenario, the wine’s mouthfeel will change; it will become rounder and appear fruitier. Also try salty, cured meats like prosciutto with high-acid reds like Pinot Noir. Fat carries flavors in food, but isn’t a flavor itself – it’s just a vehicle. 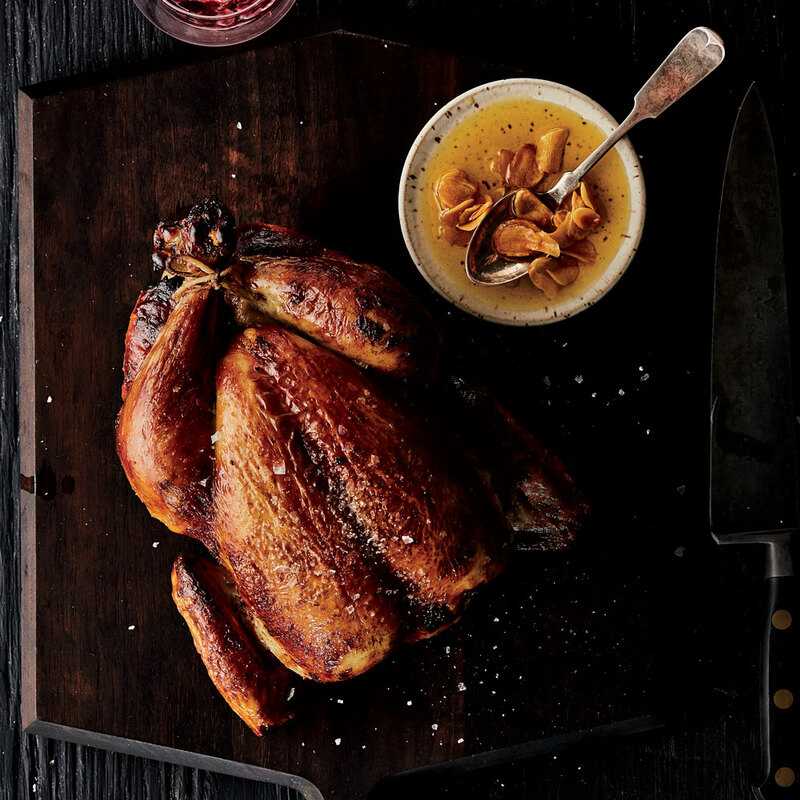 Fat in food gives an unctuous, warming, enriching note. Cutting fats is the job of acidity and tannin in wine. Chefs work with different kinds of fat—butter, olive oil and lard, for example—and each type needs the acid in wine to ‘cut’ the fat in your mouth. Essentially, fat in food can build up in your mouth and literally clog your tastebuds. Acidity and tannin act like a windshield wiper that swooshes across the tongue, stripping out the fat and rebooting your palate. Acid and tannin lift the flavors and minimize the sensation of fat in your mouth. When a wine is described as being ‘refreshing,’ this refers to the sensation you get when acidity and tannin clean out the fats around your taste buds. Remember, all wine has some level of acidity, but tannin is mainly found in red wine. How much you need, whether the wine is light-, medium- or full-bodied and what color it is, comes down to the level of fat in the dish. And the overall weight and texture of the dish also needs to be considered. For example, smoked salmon, which is fatty but cold, salty and light, will require a different wine from a hunk of rare roast beef rib-eye. Go for white wines like Riesling, Pinot Gris, Chenin blanc or skin contact-rich white for pink-fleshed fish. These will soak up fat and oil like a sponge. Reds can be Gamay, Pinot noir, Nebbiolo, Sangiovese, Malbec, Tempranillo, Rosso di Montalcino, Mourvèdre, cool-climate Shiraz (Syrah), or something quirky like Nerello Mascalese. The drying sensation in your mouth that you experience when you drink a wine is caused by tannins.The reason your mouth dries out is because your saliva is largely made up of protein molecules and, when tannins in wine come into contact with saliva, those tannins run straight to the salivary glands at the back of your palate, literally sucking them dry. And when protein and tannin combine, the tannins will drop out of the wine and the texture suddenly softens, revealing more of the wine’s fruit character. The rule with tannins is to ensure that the concentration of them in the wine matches the intensity of the fat and protein in the food. Essentially, you need protein to soften tannins. The ‘bigger’ the tannins in the wine, the bigger and more dense the proteins need to be. In food, those proteins will taste almost sweeter and more flavorsome. One of the words I love to use when discussing food and wine together is ‘grip.’ This refers to the level of tannin in a wine‚the more tannin, the greater the grip. Big pieces of protein work with wines that have a lot of grip—wines like Cabernet Sauvignon, Malbec, Mataro or Shiraz, for example. (Try a rib-eye steak with a high-tannin red wine from the Rioja region in Spain.) Smaller pieces of protein need wines with less grip, such as Gamay, Pinot Noir, Nebbiolo and Grenache. Skin-contact white wines will carry some astringency and bitterness. Drink them with fatty white proteins like pork or roast chicken and the bitterness will slip away, making the wine fresher and more flavorsome. Lactic flavors, such as those derived from butter and cream, are super with wines made with, or stored in, oak. Working in French kitchens for so long, I learned to appreciate the way butter can be used as an accepted flavor enhancer. A good portion of the full-bodied white category on any wine list I oversaw, leaned towards a style enriched with the creamy textures and buttery mouthfeel you get from contact with oak. Growing up in Australia, a country where the smells and flavors of Thai cuisine are so popular, meant finding wines for food infused with chilli-heat and spice. Hot food is famously difficult with full-bodied wines, as tannins in particular will magnify the effect of heat in food. Light bodied wines are best. With fragrant, spicy dishes, white wines with a touch of sweetness can reduce the perception of heat. Likewise, rich red protein-based dishes like beef or lamb curries suit light-bodied, fruity reds. Sweet is attractive with salty flavors—think of salted caramel, for example. I see the combination of sweet and salt used a great deal in food. Sweetness in wine will enhance saltiness in food—for example, we know how melon accentuates the salty, savory characteristics of prosciutto. And seriously, who doesn’t love maple syrup with bacon, or Balinese black sticky rice, sweet but spiked with a perceptible dose of salt? Salt (fish sauce) with sweet mirin in Japanese cooking, or palm sugar/jaggery in Thai) are the heart and soul of the more-ish sauces used in Pan Asian cooking. A fruity Riesling with a Thai or Vietnamese dish with fish sauce is fantastic. For savory courses, I like to use acidity to counterbalance salt, as the acid promotes freshness. White wines with a refreshing sweetness can be used as long as they are not cloying or ‘sugary.’ Start off using sweetness in wine with cheese. The creamy, salty, nature of blue cheese suits a ‘sweetish’ Riesling, such as a spätlese (made with ‘late- picked’ grapes) or auslese (made with ‘out-picked’, or specially selected, grapes). Also, blue cheese with port is a classic salt and sweet combination. This is a ‘gimme’ for most diners. At the end of the meal, especially a long one full of salty, savory food, your body is crying out for sugar—primarily as a way to jump-start your metabolism to start processing the food you have just eaten. Sweet foods tend to love sweet wines. A good sweet food with sweet wine match is chocolate cake and a fortified wine like Muscat. However, I have one golden rule when matching sweet dishes with sweet wines. The wine must be less sweet than the food. Most great dessert-style wines are defined by their acidity and freshness, not by their sweetness. When choosing wine, always ask about the levels of acidity as well as sweetness. From a wine perspective, savoriness is my favorite character in food to work with. It’s generally found in foods with a salty or spicy character that aren’t overly sweet. If you take the weight and texture of food with savory characteristics, then you are automatically looking for light- to medium-bodied wines with delicate, sweet fruit flavors, little oak but with soft and savory tannins. Wines partnered with savory dishes should linger in the medium-bodied spectrum. They should be wines that are versatile and that literally ‘shape shift’ when you get the balance between texture and basic taste right. Avoid wines with high tannins, oak levels and alcohol. Wines with soft tannins and relatively high acidity work best. Remember when you taste the wines to make sure that behind all that acid and tannin there sits a good level of fruit character. Wines with an oxidized character work well, too, as they carry high levels of umami, which is great with savory food.